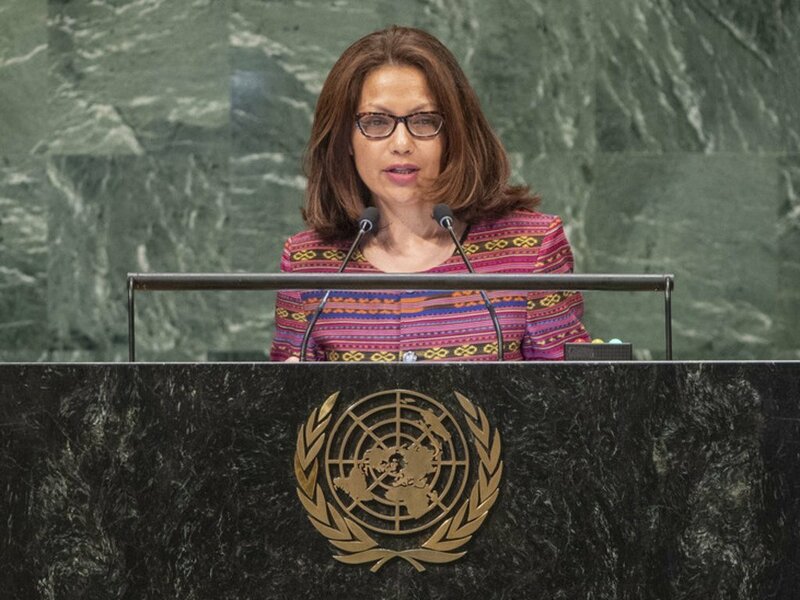 Maria Helena Lopes de Jesus Pires, Chair of Delegation and Permanent Representative of the Democratic Republic of Timor-Leste to the UN, addresses the seventy-third session of the United Nations General Assembly. “Timor-Leste is undoubtedly the leading example of the importance of an order based on international law. 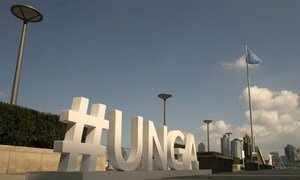 Next year, our Nation celebrates the 20th anniversary of the popular consultation organized by the United Nations, in which our people voted courageously for the independence,” she said on the last day of the Assembly’s seventy-third annual general debate. Speaking on behalf of Dionisio Baba Soares, Timor-Leste’s Minister for Foreign Affairs and Cooperation, she stressed the UN’s continuing beneficial role in her country’s affairs with the resolution this year of a maritime conflict with Australia, holding it up as an example for other countries. “Recently, the United Nations played again a major role in Timor-Leste's future. For the first time, a Conciliation Commission, established in 2016 under the United Nations Convention on the Law of the Sea (UNCLOS), succeeded in the positive resolution of a longstanding dispute between Timor-Leste and Australia about the definition of maritime boundaries,” she added. “This new [Maritime Boundary] treaty allowed us to consolidate national sovereignty and establish an important model for the peaceful resolution of international disputes. In a time of increasing global geopolitical tensions over maritime disputes, the success of the first conciliation process in history assume an unprecedented international significance.